Guaranteed inclusion on 500+ News site. Humungous database of 820k+ media contacts. Reach to Social Media and popular search engines. and other premium news outlets, reach all through the Associated Press. Suspendisse ornare luctus tempus. Nulla nec orci erat, sed consequat lacus. Social media is arguably one of the biggest innovations in marketing over the century. Facebook, Twitter, LinkedIn, Google Plus, and other social media outlets have proven their ability to leverage a combination of keywords and users to create highly effective targeted marketing campaigns. I was slightly lost as I was using press release writing and distribution service for the first time but the helpful professionals at Max Newswire made things really easy for me. I am extremely pleased with the service and the stats too. 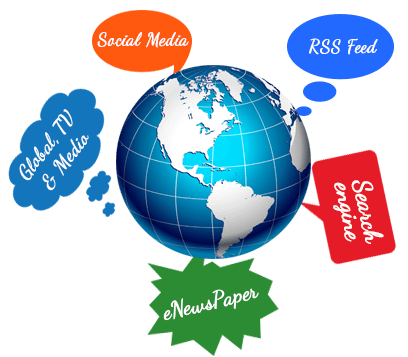 Max newswire press release service has an impressive reach and outstanding distribution which is delivered at very affordable prices. I would recommend their services for those who want to widen the reach of their news within limited budget. We loved the simple and friendly interface of the Max Newswire website as it meets the needs of our small marketing company. The pricing is also affordable and fits our budget. We will definitely use their services for all our future PR needs. We are extremely happy with the press release distribution service of Max Newswire and impressed with the number of media outlets that picked up the press release. The number of enquiries we received was also well beyond our expectations. Reach your news to more countries across diverse geographical destinations with our wider range of targeting options. We ensure faster indexing with our manual search engine submission service to top social media websites. You can enjoy spam-free distribution experience with our high quality distribution services. We offer innovative multi-modal delivery solutions to improve reach of your news. Benefit from our advanced news room dedicated just for you and at zero cost. We provide our clients a comprehensive list of media contacts to facilitate wider reach. Our premium RSS Feed Submission Service helps you best to get super ranking in top search engines.